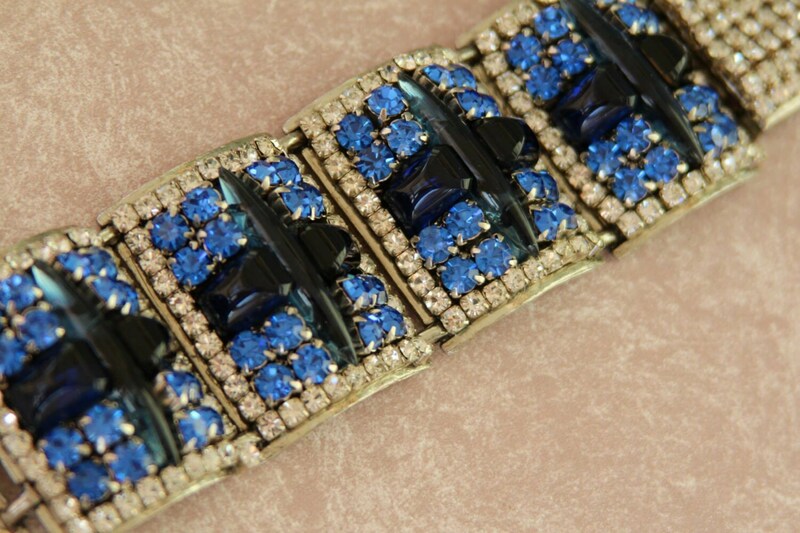 Magnificent chunky hand-made one-of-a-kind bracelet by Iris G. The bracelet features 4 large rectangular panels, each with beautiful clear Swarovski crystals surrounding blue chatons with rectangular and navette shaped cabochons, set in silvertone. 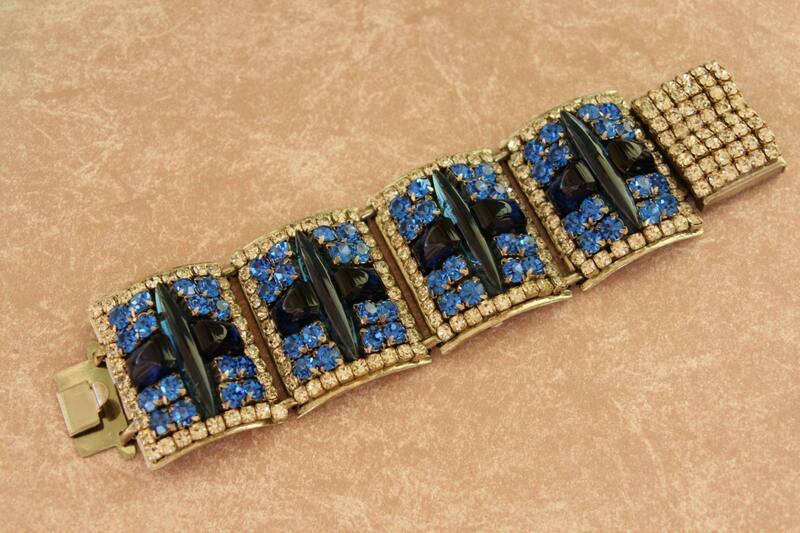 Also a beautiful rectangular rhinestone covered clasp. 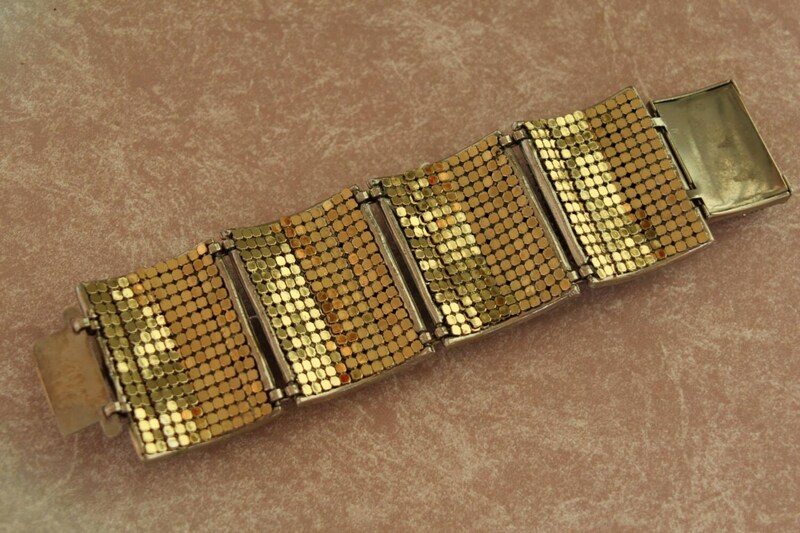 Backing on this piece is gold mesh, possibly vintage Whiting and Davis type. This is a heavy, substantial piece. Please look at all the photos. This is so much more beautiful in person. You may not be familiar Iris G. You won't find her on the internet or department stores. 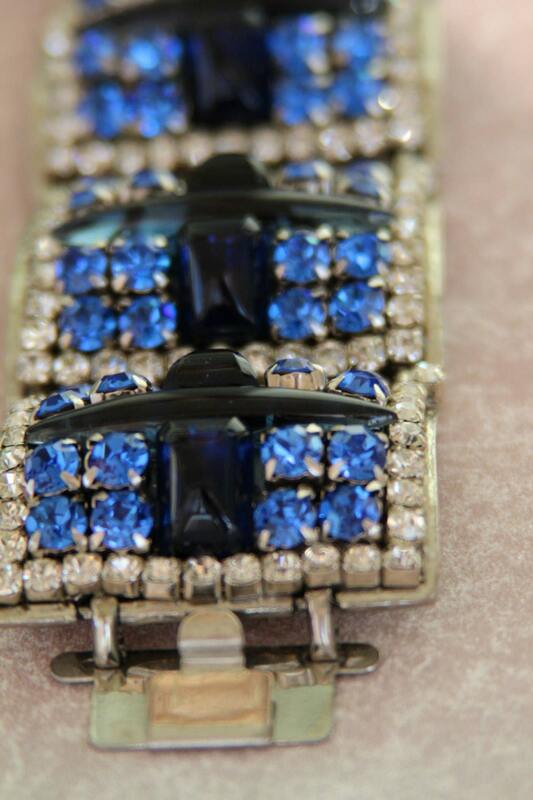 Iris G sells her designs to an exclusive clientele that includes very high-end boutiques and celebrities. Each design is one-of-a-kind. Each piece is meticulously handcrafted by Iris. 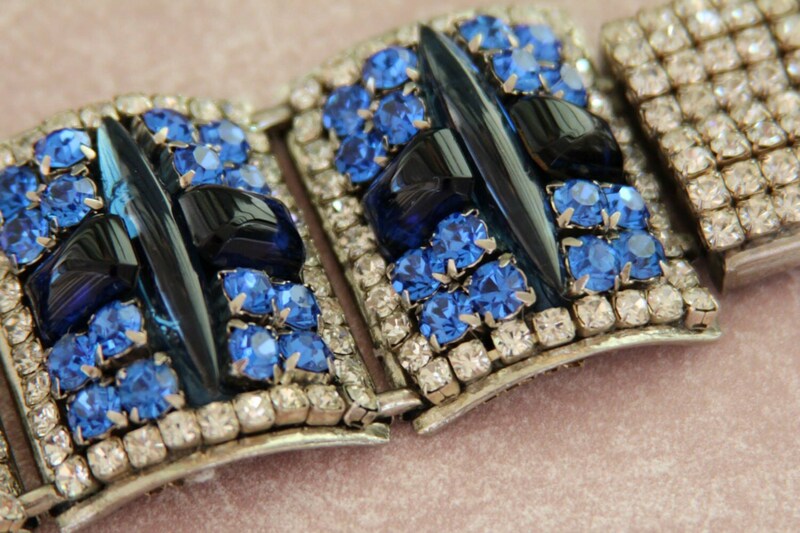 Iris uses genuine Swarovski crystals and quality plastics, often as in this bracelet she has incorporated vintage components into her designs. Most of her pieces are unsigned. I do not know when this was made as she does not sign her pieces.